St Croix is a tropical dreamland. Complete with stunning beaches, clear aqua-blue ocean water, a small rain forest and rolling green hillsides… St. Croix is truly a piece of paradise. The largest of the United States Virgin Islands, St Croix is 22.7 miles long and only 8 miles wide. 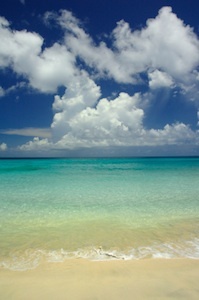 The island is 1100 miles south east of Miami, near the eastern tip of the Caribbean island chain. 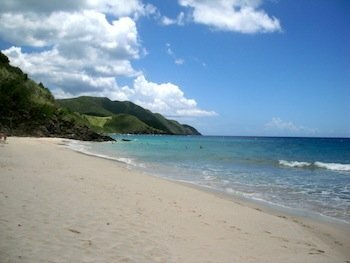 On the same latitude as Acapulco and Hawaii, it is eternal summer in St. Croix but the cooling trade winds help keep the island at a perfect temperature. The average temperature is in the mid-80s, and there's just enough rain to keep the lush flora and fauna in bloom. There are great varying landscapes on St Croix. At the east end the terrain is rocky and arid. 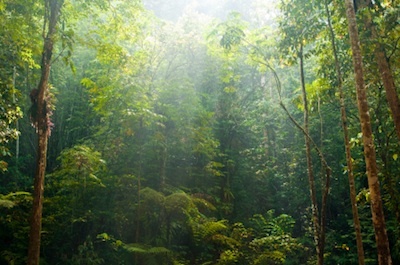 The west end is more lush and even includes a small rain forest of mango, mahogany, tree ferns, and dangling lianas. Between the two extremes are beautiful beaches, rolling hills, and pastures. All without the crowds of many other Caribbean destinations. In addition to its lovely beaches, shops, water sports and restaurants, St. Croix offers a great deal of natural beauty to explore. You can tour the island's rain forest, botanical gardens, wild-life refuges, nature preserves and parks… including the only underwater park run by the US National Park Service - Buck Island! St. Croix has two entirely different downtown areas to explore: Christiansted and Frederiksted, and each has its own unique style. 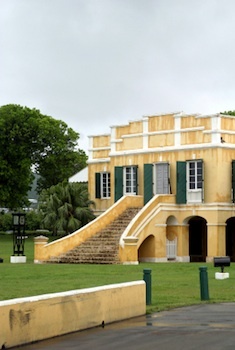 The architectural quality and historic interest of the one-time Danish West Indies capital has made part of Christiansted (founded in 1734) a National Historic Site. 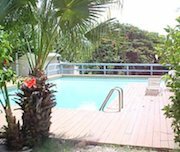 It is about 11 miles from Frederiksted and contains great restaurants, shopping, and bars. Frederiksted is smaller than Christiansted. It is closer to the airport and weekly cruise ships stop in at the harbor. The main strip of Strand Street, which skirts the waterfront, offers shopping and restaurants, but overall Frederiksted is a fairly quiet place until the cruise ships pull into port. However, it boasts a tropical Rain Forest and Whim Greathouse, a plantation restored to the way it was in the 1700s. The population of St. Croix was last estimated at 65,000 people. Of these, 32,000 live in Frederiksted.